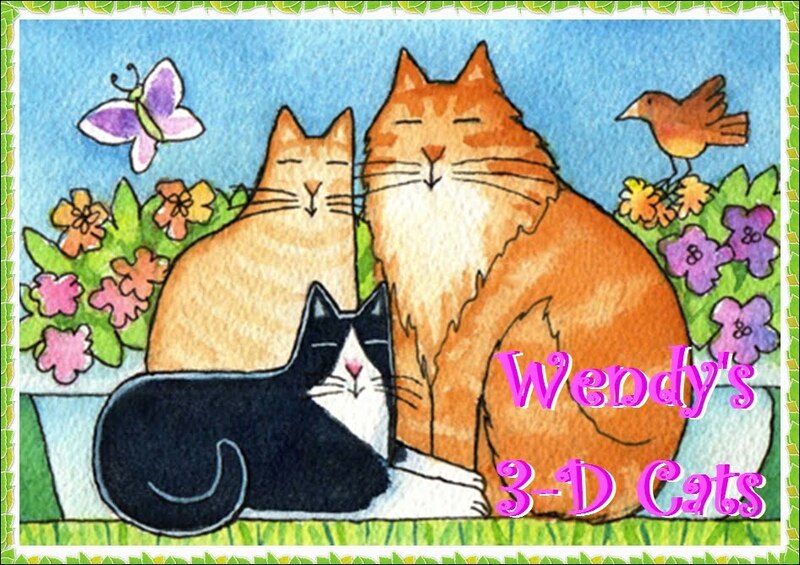 Wendy's 3-D Cats: MANCAT MONDAY WITH DANTE AND DYLAN: UP! Dante and Dylan are obviously 'up' to something this morning. What, oh what could it be? WhateFUR it is, it's definitely 'up' for GRRRabs! We bet it's an evil squirrel!! Go get 'em, boys! Oooh, if there's an evil squirrel or chipmunk taunting you, we hope you get it! Yum! Must be evil squirrel or a really tastey bird! Oh Oh Oh!! iF it is an evil squirrel, can I helP catch it? If it is an evil squirrel can I help you guys catch it? Oh I wonder what is up there? Is it a squirrel or a squirrel bird? I bet there is something tasty up there! Wow, you guys look pretty ferocious!